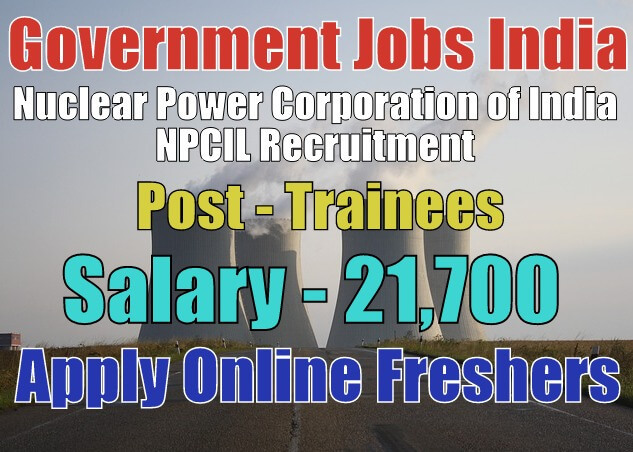 Nuclear Power Corporation of India Limited NPCIL Recruitment 2018-19 (Ministry of Human Resource Development, Government Jobs in India) notification for 244 stipendiary trainees posts. All legible and interested candidates can apply on or before (14-11-2018). 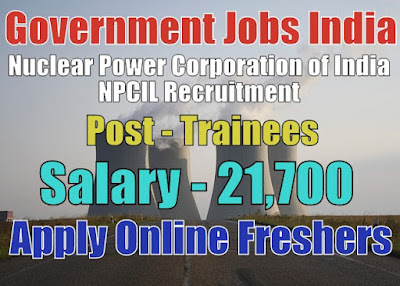 Further information about the Nuclear Power Corporation of India Limited recruitment courses and exams, vacancies, salary details, NPCIL careers, application fee, NPCIL government jobs in India, educational qualifications and all other details/information about this post is mentioned in detail below. The total number of vacancies are 244. 1. Stipendiary Trainee (Operator/Maintainer) - 224. Salary/Pay and Grade Pay - For stipendiary trainees posts, the payable salary will be Rs 21,700 per month. Further information about salary details is mentioned in the detailed advertisement. Age Limit - For NPCIL recruitment, candidate age should lie between 18 - 24 years. To know more about age details, click on the detailed advertisement. Candidates have to register themselves online. Candidates have to apply via online mode only. Applications sent via offline mode will be summarily rejected for sure. The online process for this recruitment will starts from (15-10-2018). Last Date for Submitting Application Form - All candidates must apply on or before (14-11-2018). After the last date, no application form will be submitted.